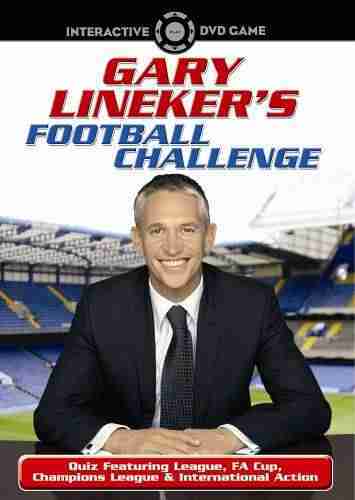 Gary Linekers Football Challenge is the most comprehensive interactive football DVD game ever! It contains well over 1000 questions of the Premiership, FA Cup, Champions League and international football with Gary always on hand to explain, encourage or mock your efforts! It features fantastic footage, single and multi-player options and an exclusive interactive Gamble with Gary lifeline. The multi-player option features unique interactive shooting opportunities which your opponent must defend against and a chance to select a team kit for your on-screen player ID. 6. Score and defend against your opponent. Te gustó este juego? pero te interesa descargar mas juegos de PC Te invitamos a que pruebes descargar the king of fighters, aparte de juegos de accion podrás encontrar muchas más como: juegos de conduccion para la PC y siempre disponible en nuestro sitio web de GamesTorrent.